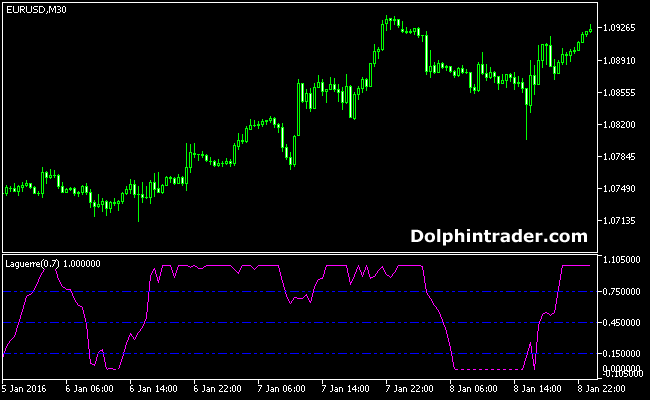 Here’s an accurate trading oscillator for the MT5 trading platform, it’s called Laguerre. The indicator swings back and forth between 0.0 and 1.10 levels. Look for buy signals at 0.15 and sell signals at 0.75. Buy signal: in an up trend, buy a currency pair when the laguerre oscillator turns back above 0.15 from below (buy on dips). Sell signal: in an downtrend, sell a currency pair when the laguerre oscillator turns back below 0.75 from above (sell on rallies).